¡¿ THINK GLOBALLY, ACT LOCALLY ?! On one hand we have global networking through digital media and social networks on the other hand, there is a strengthening of nationalist and populist movements: How does art and in specific dance relate to it? Choreography as political practice or art for the sake of art? Consistent pursuit of work opportunities or cultural education? 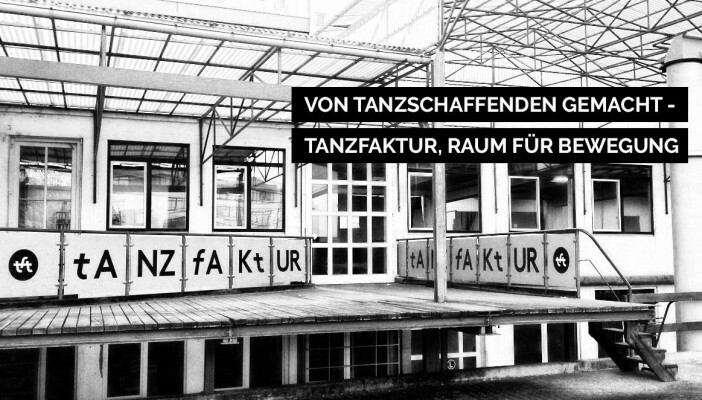 The TanzFaktur in Cologne will once again award up to three residences for emerging dancers and choreographers in 2018, who seek to break new grounds with their work and want to open new horizons by dealing with dance and dance education. During three, several week long phases (spring, summer and fall) the, artists/groups will work together through mutual discussion and friendly exchange under intensive accompaniment from an experienced mentoring team. You find further information about the selection process, program-itinerary, application requirements and documents in the download.